With the current severe financial state in South Africa, life insurance is a great way to manage your money, however, only easy to pay premiums and cash back options from Clientele Life makes this possible. Usually finding a life insurance quote becomes tiresome, combined with lots of paperwork, medical tests and waiting. Now with a simple phone call or SMS, all the work gets done for you. Many life insurance firms pride themselves on an easy quote process, however, none are as simple and easy as this. Life insurance is a sure fire risk-free option to provide support for your family, as a result, when you are no longer here to help and care for your loved ones through trying times, we are. Most insurance companies pay out a final amount upon your death, and this can make a huge difference between basic survival and the financial stability of your family. Use the money to pay debts, education or day to day expenses. The policy assists you to provide financially for your family when you die, therefore, premiums start from R100 per month, in addition, the plan pays between R10 000 and R200 000. Your family receives an R10 000 payout within 48 hours to help cover the cost of your funeral, and, after every 60 premiums paid, you receive a cash-back bonus that is the equivalent of the first six months premiums. The plan includes no medical examination and immediate accidental death cover, therefore, if diagnosed as being terminally ill, you receive a 75% cash advance. Go online and get free Life Insurance quotes. A life insurance solution that makes insurance simpler for you. Premiums start from R200 per month. Life cover up to R5 Million. Premiums calculated according to your personal risk profile. No paperwork or full medical examination needed. All we require a simple blood test. After every 60 premiums paid, you receive a cash-back bonus equivalent to the first six months premiums. An additional disability cover of up to R5 Million is available as an option. Additional critical illness cover of up to R3 Million is available. Anyone between 18 and 65 with a valid South African ID can apply. No hidden costs like admin fees, upstart fees or initiation fees. Suicide covered after two years. 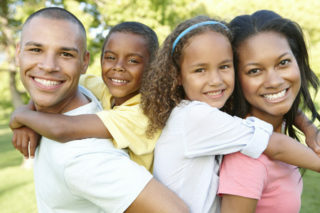 With all these options and benefits available insurance is affordable and easy with Clientele life.